A couple weeks ago, the winter edition of Fork Fest was running in Edmonton. For those of you unfamiliar with Fork Fest, it is a two week long event where various restaurants in Edmonton offer a prix fixe menu in addition to their regular offerings for a lower price to allow patrons to try out a sample of what they have to offer. 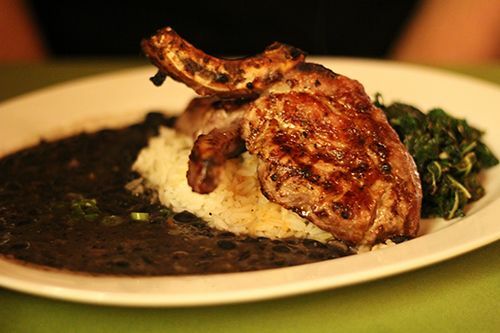 Sabor Divino is a restaurant that is always featured when Fork Fest comes around, and I always look forward to what they are offering on their menu. This Mediterranean restaurant is located in downtown Edmonton, and it had been a while since my last visit - so I figured it was time for a revisit! 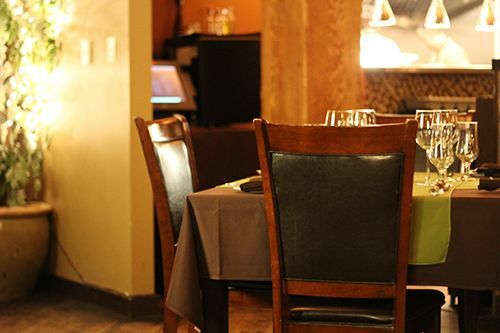 Sabor Divino is a quiet restaurant, dimly lit for a feeling of intimacy, but big enough to accommodate larger parties. For the night, we were seated near the kitchen in a brighter area - a request I had made which the restaurant clearly paid attention to. The attention to small details really shows how much they care about your dining experience, which unfortunately can be hard to come by these days. The Fork Fest menu showcased a three course meal, with a choice between two entrees for $45/person. When you take into account the pricing for the three courses versus a regular meal a la carte, there is considerable savings, which is what I love about Fork Fest! 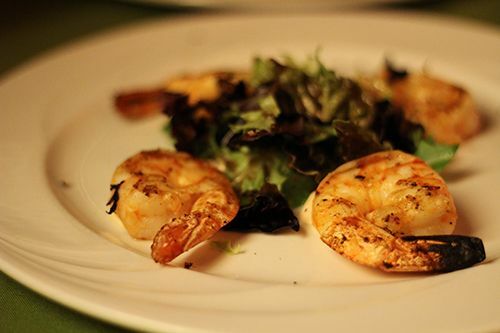 So to start off, we were presented with olive oil and balsamic for dipping bread, and our Grilled Piri Piri Prawns - with pimento aioli and mixed greens. Each prawn on the plate was large and meaty - they had been slightly seasoned with salt, but the spicy aioli kicked it up a notch. The mixed greens were mixed with balsamic, making the miniature salad tangy but refreshing. For myself, I had chosen the Fresh Monkfish and Lobster Risotto. 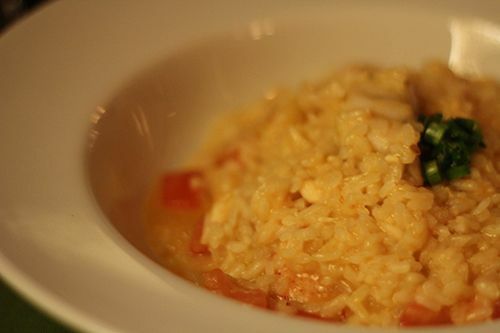 The creamy risotto surrounded numerous chunks of monkfish, all of which were fresh and perfectly cooked. Underneath I was surprised to find a massive lobster claw waiting for me - I'm usually a crab person, but this lobster claw was naturally sweet, and the cream sauce was light, allowing the true flavour to shine. To finish up the meal, we were served Leite Creme - Portuguese milk custard - which was right up my alley. The custard itself was creamy and not too sweet, just the way I like it. 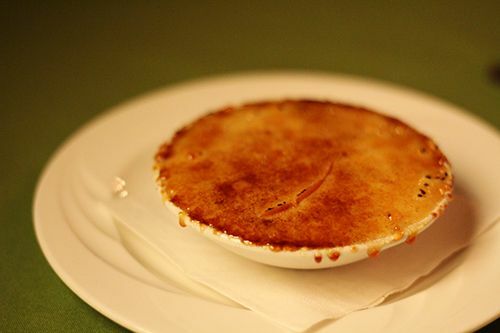 But the most interesting component had to be the caramelized sugar, which had notes of cinnamon and cayenne, making it different from the other Creme brûlée like desserts I've had in the past. The spicy and sweet was unexpected, but a harmonious combination. 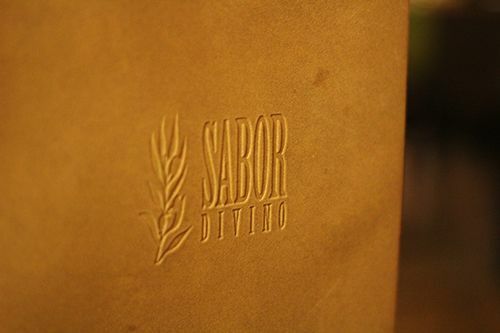 I always try not to have high expectations when I walk into restaurants, but having had a great experience prior to this dinner, it was inevitable for me to have higher standards for Sabor Divino. Our waiter was respectful, food was delicious, and the environment facilitated a quiet, intimate dinner. I'll definitely be back in the future for special occasions! Right? So good. I'm missing the risotto! I have only been once but Savor Davino is soooo yummy! The menu for Fork Fest looks and sounds like it was delish! 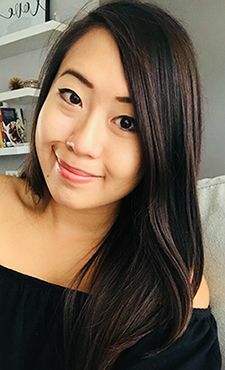 Congrats on your nomination for the Yeggies!